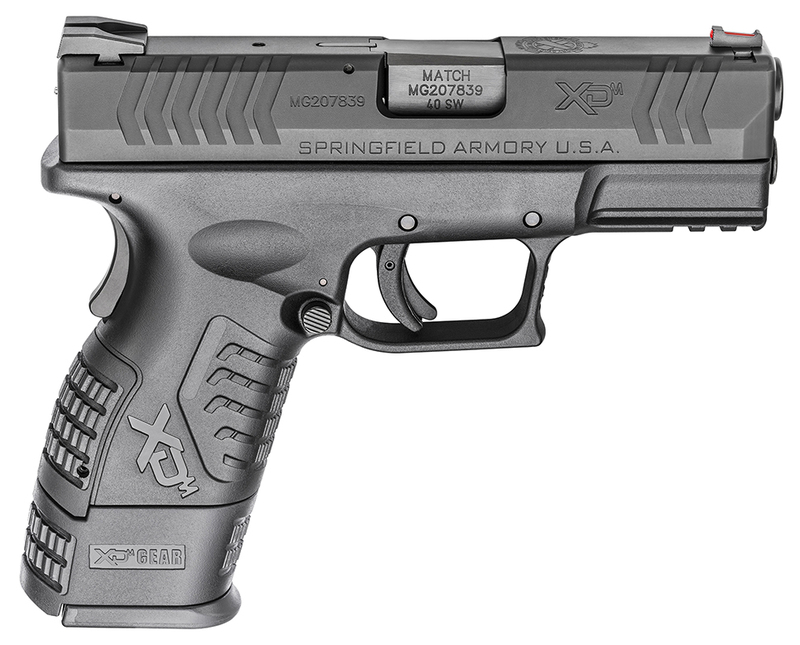 The Product Spotlight this week is the Springfield Armory XD(M) 3.8" Compact in 40 S&W. This pistol features a 3.8” match grade barrel with a compact sized frame. The XD(M) 3.8" Compact is the smallest of the XD(M) line, but it's by no means the least. It boasts the same superior ergonomics, reliable performance, and features that make larger Xd(M)'s easy and intuitive to use in a slightly abbreviated package. The slide has both front and rear cocking serrations. It is topped off with a front fiber optic sight and rear low profile combat sight. The Mega-lock textured grip will keep the pistol securely in your grasp and can be tailored to the shooter with three interchangeable backstraps. This pistol ships with a compact 11 round and 16 round X-Tension magazines. If you want a gun for daily carry as well as a trip to the range, but you only want to buy one gun, try the XD(M) 3.8” Compact. 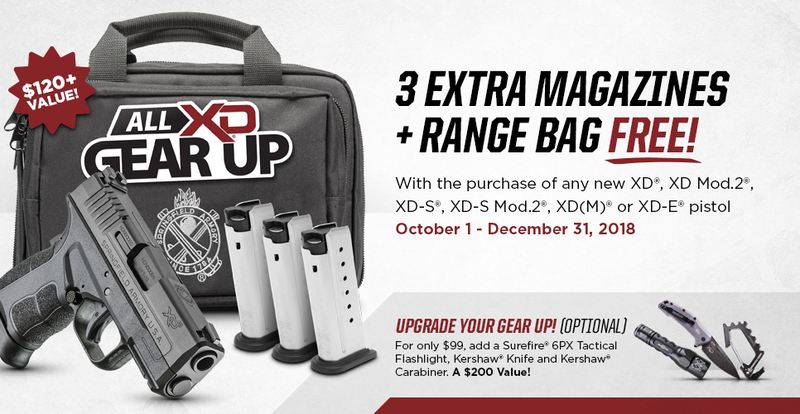 Don't forget to take advantage of Springfield's All XD Gear Up! Click Here For An Instant Quote on the XD(M) 3.8"